The literary sub-genre known as the alternate history is built on the questions “What if a single important event had not taken place, or had occurred in another way? What impact would that have had on the world as we know it?” At its best, imaginative writing in this vein can suggest how whimsical, even random, the path of history is, and that many of the things we take for granted – such as moral codes, ideas about religion, gender, economic policy or personal liberty – could, but for a single flip of the coin, have turned out differently. 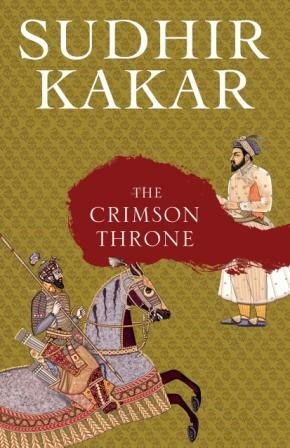 Sudhir Kakar’s The Crimson Throne doesn’t belong to this genre – it’s a historical fiction – but its effect depends on its raising of such questions. Set during the Mughal Empire in the mid-17th century, this book centres on the war of succession between the two sons of the aged Emperor Shah Jahan: the broad-minded Dara Shikoh, known for his interest in the commingling of various religious traditions, and the fundamentalist Aurangzeb, concerned mainly with promoting Islam as the “one true faith”. 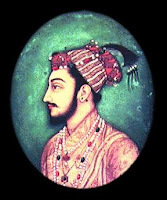 Dara is the heir apparent and some believe he has the potential to be the greatest Mughal emperor since his great-grandfather Akbar, but those of us familiar with the era know what really happened: the prince was overthrown and executed by his younger brother, who went on to become one of the dynasty’s longest-lasting rulers. How might things have turned out otherwise? 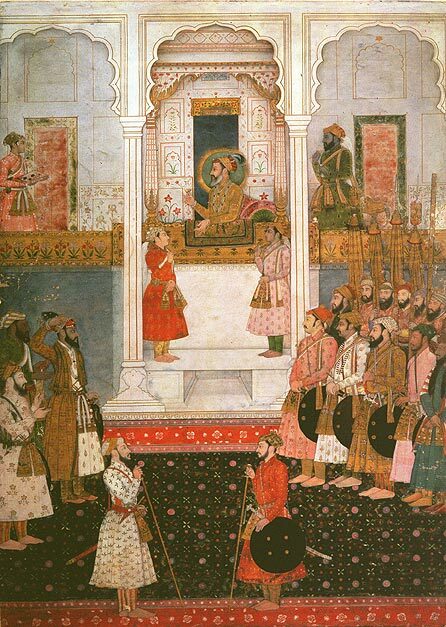 This key period has been written about many times before, but Kakar’s innovation is to use the contrasting perspectives of two foreign narrators – the Italian Niccolao Manucci and the Frenchman Francois Bernier, both of whom were real-life figures - to tell the story of the Mughal court intrigues. The low-born Manucci travels from Venice to Goa, having heard marvelous tales about untold riches, about houses made of gold and silver, and though he is soon disabused of these notions, the new country casts its spell on him; eventually he finds employment as a physician in Prince Dara’s court, despite not even having studied medicine in Italy. Bernier, on the other hand, arrives with more scholarly ambitions – and a somewhat more pompous bearing – and manages to maintain a largely detached attitude towards India and its people. However, he becomes close to Shah Jahan’s foreign minister Danishmand Khan, a man who will be called upon to make a hard decision regarding the fortunes of the rival princes (and whose role in this narrative is similar to - though less dramatic than - Shakespeare's Brutus, with its own version of "Not that I loved Caesar less but that I loved Rome more"). Kakar’s writing style is dry and functional. He works within his limitations and doesn’t try to create distinct voices for the two narrators, which has occasionally muddling results - but it also lets the story take centre-stage. The alternating first-person accounts of Manucci and Bernier help us make sense of their biases and fealties. For instance, Bernier’s contempt for the Hindus – or the “idolaters” – is obvious from early on. A product of the European Enlightenment but also moored in the certainties of his own religion, he lacks the ability or the will to appreciate a pliable, open-ended faith that worships hundreds of different Gods, “both divine and demonic, many of them no more than gargoyles, some with multiple arms, others with bulging eyes and lolling tongues”, and where "every belief and every law seems to have its opposite". Simultaneously he develops a grudging respect for the followers of Islam and comes to admire Aurangzeb’s single-minded zeal. Instead of an unambiguous “yes” or “no” to a question that can have but one answer, [Hindus] inevitably slide into rambling discourses which simultaneously communicate assent and dissent ... The Mohammedans, at least are unambiguous and consistent in what they believe, even if that belief be in error ... [Aurangzeb’s actions] were but means to an end to which he remained steadfastly committed all his life. Manucci, though less scholarly, is in some ways the wiser man, more willing to absorb different modes of thought, and he soon begins to hero-worship Dara. This means that through the course of the book, we get opposing views of the two princes. Is Dara the last great Mughal cut down on the brink of a glorious reign, or a limp-wristed dreamer who would never have made a good statesman anyway, or a poseur who has carefully cultivated the image of an exemplary prince? Is Aurangzeb a mean-minded hypocrite by nature or does he merely do everything it takes to achieve what he believes to be his life’s duty? What do Danishmand Khan’s recollections of their boy-natures – Dara cheerful, demonstrative and widely adored, Aurangzeb tight-lipped, calculating and shunned by his father – reveal about the men they have grown up to become? What might the history of Islam in the subcontinent have been like if Dara, rather than his brother, had ruled for 50 years? All these questions move beneath the surface of the book, and because neither Manucci nor Bernier is an “objective” narrator, we are continually forced to think about how history comes to be interpreted and written. Which is why, even though Dara Shikoh is the object of our sympathy for much of the narrative, by the end it becomes possible to reflect that perhaps things might not have been too different even if he had ascended the crimson throne. After all, power of the sort bestowed on a Mughal emperor can corrupt anyone, even a dreamy-eyed prince with an interest in Sufism. P.S. Also see this post about Hilary Mantel’s Wolf Hall, another book that deals with the many quirks and missteps that lead to history as we come to know it. And a post about Sudhir Kakar's The Indians here. 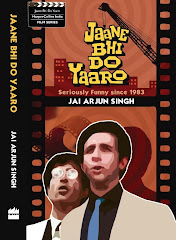 This made for a very interesting read Jai. And I think I am going to pick up this book - I've always been interested in historical fiction, especially that set in Mughal times, and this sounds quite fascinating. I don't quite understand why historians think Dara Shikoh's reign would've made a huge difference. I suppose the argument is that in the absence of Aurangazeb, anti-Delhi sentiment may not have taken root in other parts of the country, thus enabling a strong pan-Indian Mughal dispensation to last much longer. Alternatively, it might have even hastened the collapse of the empire and improved the opportunities for Continental traders of the 17th century. I've been reading GM Trevelyan's History of England lately. In it, the author raises the most provocative of "what-if" questions. What if the Norman Conquest of 1066 hadn't happened!! England under Danish/Saxon rule might have ended up as yet another remote Scandinavian country! Now there's an alternative history that might have changed the history of the Planet! Ramya: hope you like it. And do pass on some historical-fiction recommendations if you have any. AshKash: I was at a short discussion featuring Sudhir Kakar recently, and one of the interesting things he said was that he was fonder of Dara Shikoh when he knew relatively little about him - he lost some of his admiration after he actually started researching for this book. What if the Norman Conquest of 1066 hadn't happened!! England under Danish/Saxon rule might have ended up as yet another remote Scandinavian country! Now there's an alternative history that might have changed the history of the Planet! Shrikanth: And how! The mind short-circuits even thinking about it. Among many other things, we wouldn't be having this blog conversation in English (assuming that all technological progress happened in the same way). And what might the history of cinema (especially "American cinema") have been? And what might the history of cinema (especially "American cinema") have been? We might have had a Spanish film industry in America. Northern America might have ended up as yet another Spanish/Portugese colony a la Brazil or Argentina. Regarding Sudhir Kakar becoming less admiring of Dara Shikoh as he read more about him, I think that's true of a lot of historical characters. It's probably because a casual reader (as opposed to a historical researcher/ historian) will know only a bare bones outline of the character in question, and the character is likely to be outlined in sympathetic/neutral overtones (except for the historical 'villians' such as Aurangzeb)- and it's only when we read more than the flaws/character weaknesses are revealed. Nice review. Hope to read it soon. Regarding Wolf Hall, I didn’t get around to finishing it as I loaned it to my sister. But then I struggled with reading even the first few chapters and I’m not sure why. Need to get in the mood for historical fiction, I guess. Thank you for an interesting review. I saw it recently in a book-shop and was intrigued by it. For those wondering more about Dara - do read his beautiful, famous book on the fundamental One-ness of Hinduism and Islam, 'Mingling of the Two Oceans (Samudra Sangam-Majmul Bahrain) and his translation of the Upanishads which he did with Pandits of Benaras. It found it's way into Europe which was not well-versed in Sanskrit at the time and thus reached the West. The labor of love poured into these, and particularly the introduction to 'The Mingling' are touching. The rest as we know, is history.